When extreme financial hardship strikes, you have the option of filing for bankruptcy protection. Under Chapter 7 of the federal bankruptcy law, a court-appointed trustee seizes any of your assets that are "non-exempt," meaning the law does not protect them from seizure. There are several categories of exempt assets, including the funds you have in an Individual Retirement Account. Although federal and state laws vary with regard to the exemption limit, your IRA account will survive bankruptcy intact. By an important bankruptcy reform law passed in 2005, assets up to $1 million in an IRA -- or combination of multiple IRAs -- were made exempt from seizure by a bankruptcy trustee. The IRA exemption limit was raised to $1,171,650 in 2010. The Bankruptcy Abuse Prevention and Consumer Protection Act (BAPCA) did not exempt ordinary investments -- stocks, bonds, mutual funds -- held outside of an IRA. Prior to the passage of BAPCA, retirement plans conforming to the Employee Retirement Income Security Act (ERISA) were exempt, but IRAs were not. The federal cap on the IRA exemption applies to both conventional and Roth IRAs. It does not apply to funds rolled over from other retirement savings accounts, such as a 401(k) set up with contributions from your employer. In addition, Keogh accounts, SEP accounts, and SIMPLE IRAs are exempt without any dollar limit. The states have their own schedule of exemptions, which you may need to use. Alabama, for example, exempts conventional IRAs but not Roth IRAs -- and requires you to use the state exemptions. 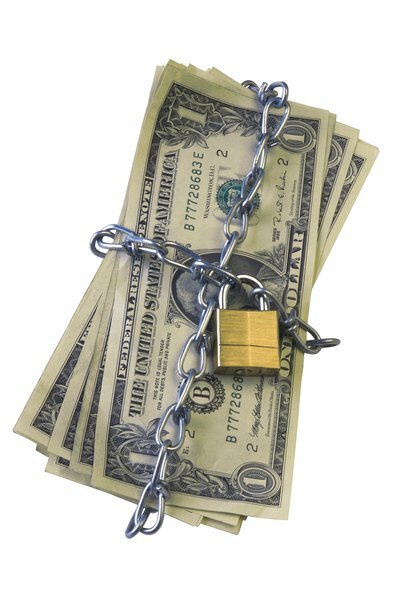 Under the law, IRAs in which certain prohibited transactions take place are not exempt in bankruptcy. These prohibited transactions include the owner using any IRA funds to buy and sell property outside of the IRA, or transferring any IRA assets to another, non-IRA brokerage account. If such a transaction occurs, then the IRA ceases to be treated as an IRA for tax purposes and for purposes of a bankruptcy exemption. The tax rules applied to withdrawals from the IRA also affect the exemption rule. For example, if you withdraw money from the IRA before reaching the minimum retirement age of 59 and a half, you must replace that money within two months. Otherwise, you pay both capital gains taxes and a 10 percent penalty. In addition, the funds are considered part of your bankruptcy estate, and not exempt from seizure.